“There has been fantastic response by both students and their teachers to the Nature Quest indoor and outdoor programs,” according to Deanna Trowsdale-Mutafov, conservation and education manager at Nature Saskatchewan. Nature Saskatchewan wants students to realize there is a large forest, the Boreal Forest, in Saskatchewan – a place most people associate with prairie grasslands – and it’s one of the last large remaining intact forest ecosystems in the world. “We want them to develop a sense of curiosity and wonder about the forest and to have a sense that the forest is worth exploring and protecting,” says Trowsdale-Mutafov. Nature Quest was initiated by Nature Saskatchewan in 2004-2005 with the purpose of bringing nature educators into the schools to discuss the importance and cultural richness of the Boreal Forest and the biodiversity of the creatures who call the forest home. The educators, who have travelled as far north as Uranium City and as far south as Val Marie, engage the students in a conversation about the forest through presentations, storytelling and music. Students are encouraged to plan projects of all sizes to spend some time in the forest. Youth are also given the opportunity to participate in programming through a partnership with the Saskatchewan Boreal Forest Learning Centre. In these programs, some students are able to spend more than a week in the forest learning activities, such as canoeing, winter camping, photography, biology, poetry, ecology, sweat lodge ceremonies, traditional herbal knowledge, music, journaling, silviculture, skiing, horseback riding and hiking. Nature Quest has been a hit with students and teachers. “Many schools request return presentations due to the response from their students. The Nature Quest programs are growing in popularity each year,” she adds. Nature Saskatchewan estimates that, since 2005, over 14,000 people – mostly youth – have been reached through Nature Quest. According to Trowsdale-Mutafov, Nature Quest hopes to expand the cultural and on-site aspects of the program and new schools and school divisions will be contacted with their programming. 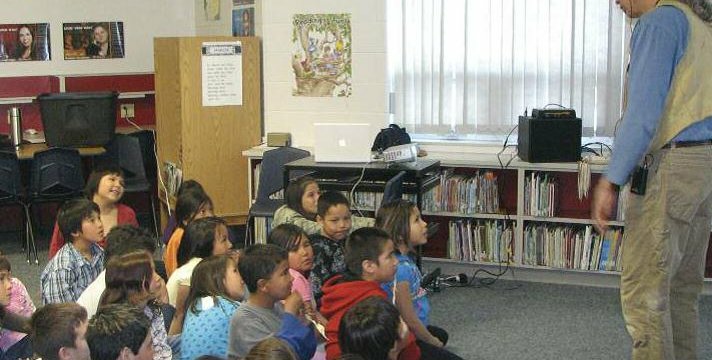 A Treaties component to the Nature Quest presentations is in development, as well as further development of the on-site programming at the Ness Creek site, and more programming in the south and central parts of Saskatchewan.